Edinburgh Rugby have signed London Scottish winger Jason Harries on a one-year deal. The former Wales age-grade internationalist, 28, joined the Richmond club in 2015 and has made 45 appearances, scoring 22 tries. Harries inished the 2016/17 season as the club’s top try scorer and was also named in the Championship Dream Team. 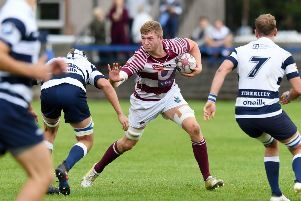 Harries said: “I’ve heard a lot of good things about Edinburgh and it seems to be an exciting time for the club, so I’m looking forward to joining up with the squad. Prior to joining the Exiles, Harries featured for Wales on the World Rugby Sevens Series circuit for three years.